The 18th hole at Sycamore Hills Golf Club has changed compared to Sept. 1, when Trevor Immelman’s 16-foot putt for birdie gave him the inaugural Hotel Fitness Championship title. The fairway on the finishing hole is narrower. The bunkers are altered in shape and position. The water hazard has been redesigned. The grass 40 feet from the middle of the green is such that a flop shot, a chip-and-run or a putt will allow players to go for the hole to save par. “The intent was to make it a much more challenging and dramatic finishing hole,” Sycamore Hills general manager Eric Schneider said. In its first phase, it is the most dramatic redesign in the history of the 24-year-old top-rated Jack Nicklaus-designed course. 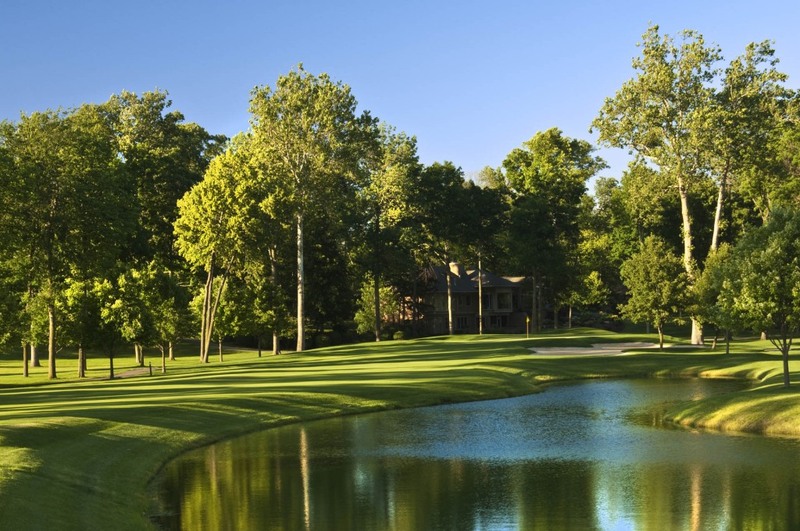 Golf Digest included Sycamore Hills among its “America’s Top 100 Courses” in 2011–12. The course also ranked among Indiana’s top-five venues in Golf Digest’s Best In State rankings for 2013–14. Fifteen holes will be markedly different for this year’s Hotel Fitness Championship, which runs Aug. 25 to 31. Sycamore Hills will modernize the rest of the holes after the Web.com Tour tournament. Immelman won last year with a four-day total of 20-under 268, edging Patrick Cantlay by one stroke. Under the guidance of Nicklaus Design, Sycamore Hills eliminated 10 acres of fairway, taking landing areas that were more than 40 feet wide down to 22 to 28 feet wide, and put hazards where pros will have to contend with them. “In the end, they’re artists,” head professional Tim Frazier says of the course designers, adding that a byproduct is Sycamore Hills is becoming an easier course for those with high handicaps. Sycamore Hills has played host to five national championships for the United States Golf Association and the PGA of America, as well as the 65th U.S. Junior Girls Championship last July. The Hotel Fitness Championship is the first of four legs within the Web.com Tour’s Finals, which determines PGA Tour cards for the following season. Sycamore Hills has made changes throughout its history, including a tree-planting program that helped shield homes from the course. More recently, because of ash borer disease and other factors, about 165 trees have been removed. But changes to courses are commonplace at all levels for myriad reasons, such as difficulty, cosmetics and finances. The changes at Sycamore Hills were made with the input of those running the Hotel Fitness Championship. That hasn’t been easy, though, because beginning last fall, the weather kept construction workers from doing as much as Sycamore Hills had hoped. But when the Hotel Fitness Championship rolls around, and players are coming down the 18th hole with visions of a championship trophy, things will be more difficult.